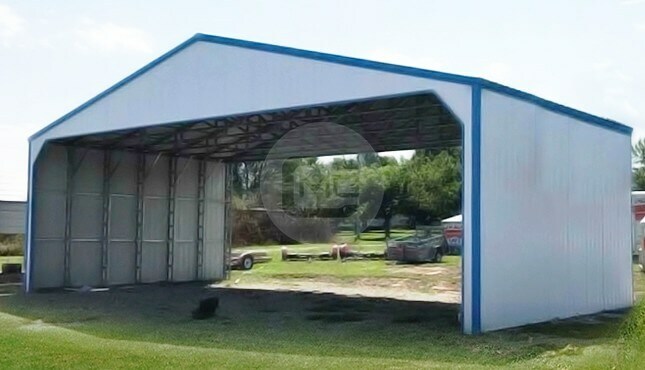 Metal CarportsMetal Carports are excellent steel structures to cover your car, truck, boat, RV, farm equipment, & ATVs. 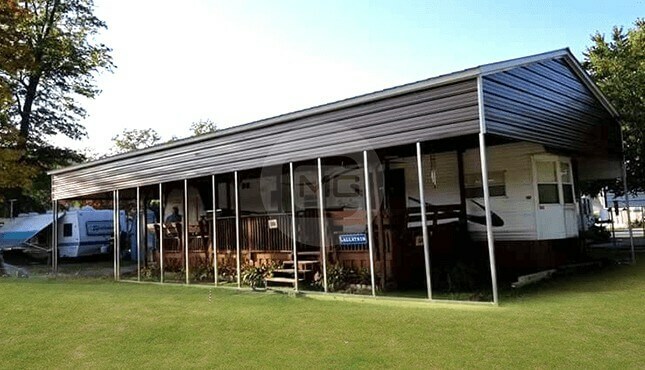 Use metal carports as metal canopies, carport covers, metal RV covers, metal shelters, boat covers, shed garage kits, metal carport kits, steel canopies, and much more. Need to protect your car or truck from hail damage? Tired of having to scrape your car every time it snows? Metal Garage Central has the solution! 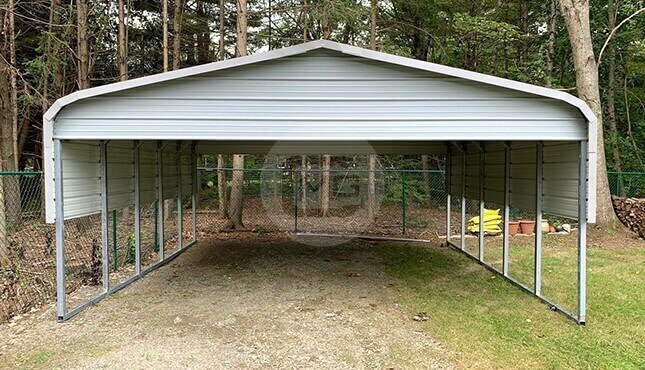 Our metal carports are extremely rugged and versatile, and are fully customizable for open-air, partially-enclosed, or fully-enclosed protection. You can also choose from different roof styles and from many different color options. These precision-engineered steel structures are known for their strength, durability, & cost-effectiveness as compared to metal carports made with wood or other materials. 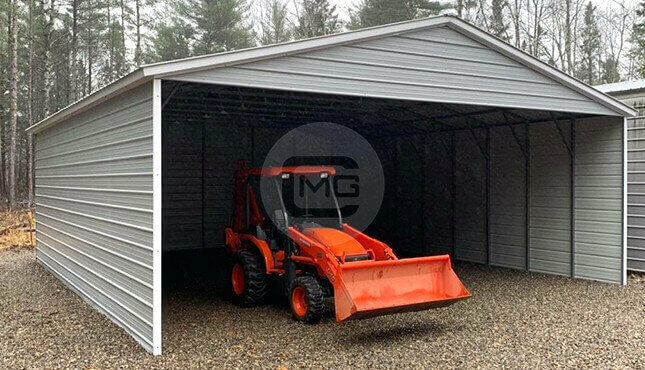 Our metal carports are effective at shielding your vehicles and equipment from the elements, but they’re useful in other ways, too. A carport from Metal Garage Central can double as a covered picnic area or an outdoor studio to keep you dry and safe! 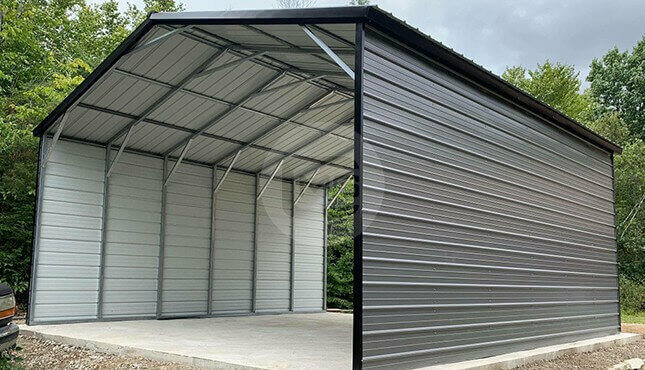 We can also build small metal sheds attached to the carport structure in case you need little extra storage. 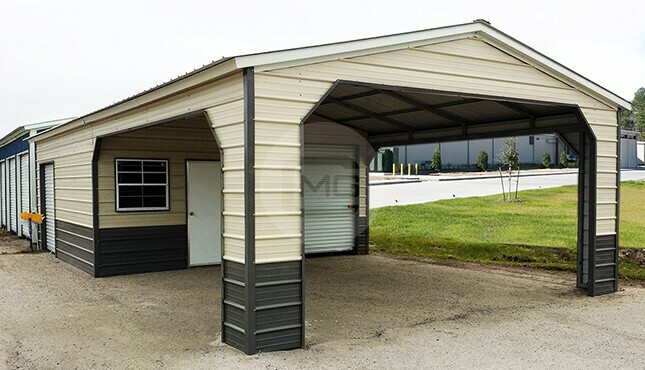 These are called utility carports or storage carports; they serve the dual purpose of vehicle protection along with an area for secure, enclosed storage. What Carport Size Do You Need? One of the first things you need to decide when choosing a metal carport is how you plan to use your carport. You’ll want to consider how much space you’ll need to be able to accommodate your vehicles and anything else you’d like to keep under cover. It’s also wise to allow for extra space to include future vehicle or equipment purchases. 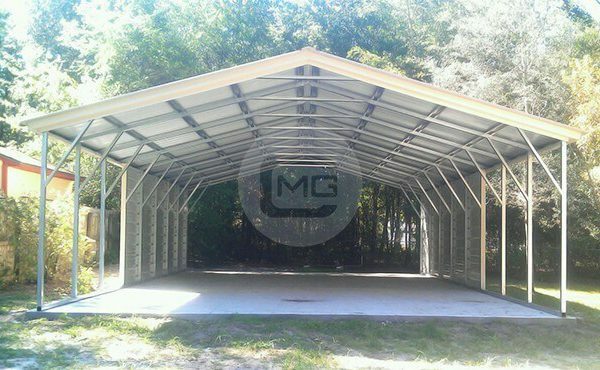 Prefab steel carports are available at Metal Garage Central in any custom size to fit your needs. A 12’-wide carport can generally fit a single car; we can also build metal carports to house 2 cars, 3 cars, or more! Carport length starts standard at 21’, but we can generally extend the length as far out as you need. You should also factor in the height of the vehicles or equipment you want to cover. Carport height starts standard at 6’, and can be extended up to pretty much any height you require. 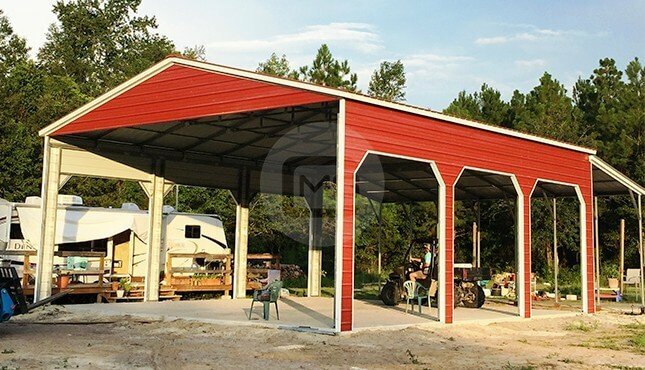 We can build metal carports tall enough to house everything from RVs to combine harvesters! The roof style you choose for your custom steel carport makes a big difference in the functionality of your carport, and it also has a significant impact on the final price tag. It’s important to consider the weather in your area when choosing your steel carport’s roof style. If you live in an area that experiences heavy rain or snowfall, it is recommended that you go with a vertical roof style The boxed eave style roof has a peak like the vertical style, except the panels are installed horizontally. For this reason, we recommend purchasing a boxed eave roof style carport if you live in an area that doesn't experience a lot of snow or heavy rainfall. The regular roof style is the most economical choice. However, because installation of a regular roof involves the roof panels being horizontal, it’s only recommended that you purchase this style if you live in an area that has very little snowfall or heavy rain. 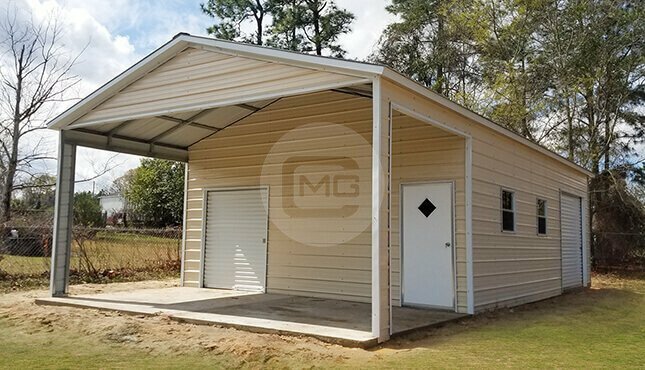 At Metal Garage Central, our prefab metal building prices are among the most competitive in the engineered steel structures industry. Pre-engineered metal carport prices will vary based on the extent of customization involved (roof style and dimensions), any additional materials desired (wall panels, gables, doors, windows, anchors), the gauge of frame (standard 14-GA or sturdier 12-GA), the gauge of sheet metal (standard 29-GA or sturdier 26-GA), and the certification or building permit requirements of your region. The state in which you install your new custom metal carport will also affect pricing. If you’re looking for accurate, up-to-date metal carport prices, look no further than Metal Garage Central! We keep our website current with real-time carport pricing updates. And of course, you’re always welcome to give one of our friendly building specialists a call and we can answer all your questions on the phone. Oh, and here’s one feature you won’t have to worry about paying for – all of our steel carports come with FREE delivery and installation with purchase! 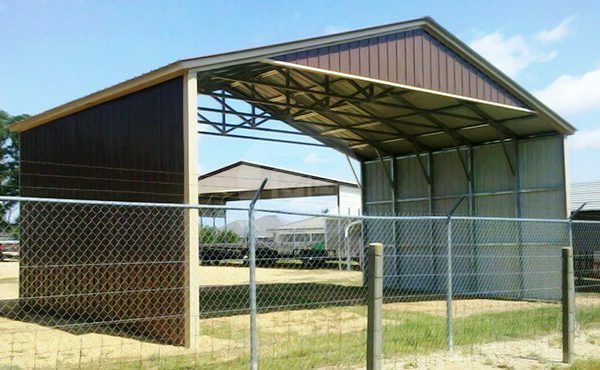 Free delivery and installation comes standard with our custom steel buildings, but perhaps you’re a DIYer who likes to save a little money by doing things yourself. For a cheaper price, we are happy to provide custom-engineered steel carport kits that you pick up and install yourself. Everything you need is supplied in one convenient package. 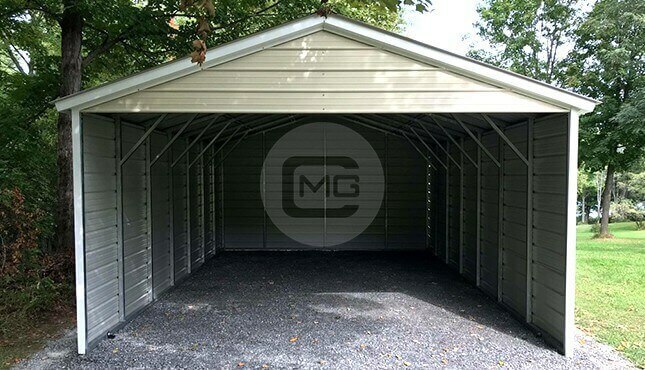 At Metal Garage Central we specialize in helping DIYers get the metal carport of their dreams at the right price! Our friendly, knowledgeable building specialists are here to help! We’re happy to walk you through the whole process, from design to ordering to production to installation. 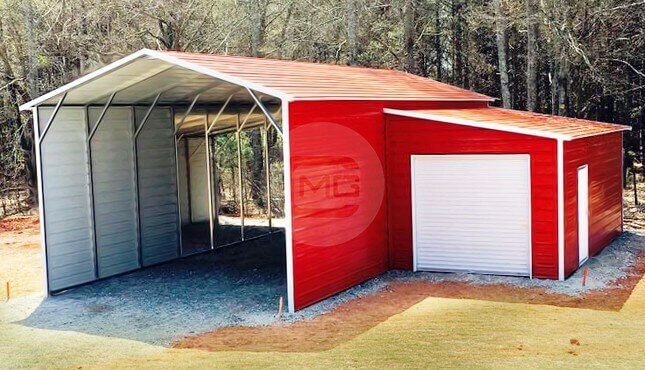 Check us out online at Metal Garage Central, or give us a call at +1 (980) 223-3072 and let’s get started on designing the metal carport of your dreams today!